Exactly what I was looking for. A super laid back and relaxing stay at a place that feels more like a home then a hostel. Location was right by the beach with free bikes to use whenever I needed to pedal to find the best break. Toshi was super helpful and friendly. Had a lot of suggestions for around the area. I would definitely stay there again. With it’s layout it’s less spacious and private then other hostels, but I never stay for the privacy. Perfect place to make new friends. Very nice place to stay for my trip to Miyazaki. It is located right next to the Aoshima island and Aoshima beach. One of the main reasons I chose this guest house is that I wanted to feel Japan’s traditional atmosphere from tatami and it was truly nice! This place is so cozy and feels warm. Host is so kind and people there are very friendly. 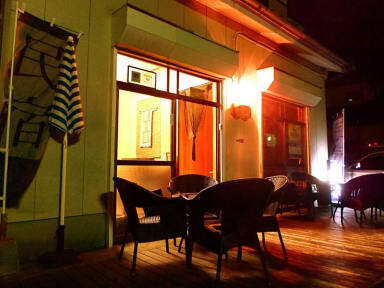 I really enjoyed my stay there and am willing to stay there if I go to Miyazaki again. Fanstastic! This place is the definition of cool. It feels like you’re just staying at a friends house in the best way possible. I just happened to stay here as a halfway point between Dogo Onsen and Kagoshima, but I’d be willing to return just to spend more time here. Place is clean. Owner is super friendly. Two minute walk from beaches and an island shrine. You can’t beat it. Awesome staff gave super helpful recommendations. So close to the beach, literally couldn't beat the location without camping on the shore. Nice kitchen, free bikes, I almost wanted to stay on as a volunteer. The place was comfortable. It felt like home. The location of the hostel is great and also the facilities are alright for the price. Cleanliness especially in the kitchen isn't that great, but it's doable. The only thing that really stood out, was several bites by bedbugs I had after one night. We informed the hostel personell, so I hope that will be taken care of. Aoshima Guest House Hooju is a very basic hostel, but appropriately priced. It is inexpensive, and it shows. I would suggest bringing your own towel, toiletries, and other comforts as not much is provided. 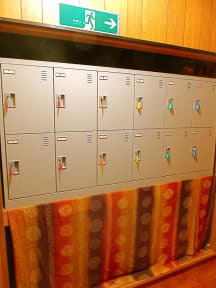 However, it is conveniently located, seemingly safe, and there was a microwave and mini refrigerator in our dormitory. The staff is nice but the hostel is not comfortable at all. It was pretty dirty and a lot of bugs got in at night. The air conditioner only cools half the room. In order to get to the kitchen you need to go through either a room (where people might be sleeping) or the shower room (also the only room with a washing machine). The only convenience store in town is about 15 minutes walking distance. The beach is nearby which is nice. Not recommended for more than 1 night.